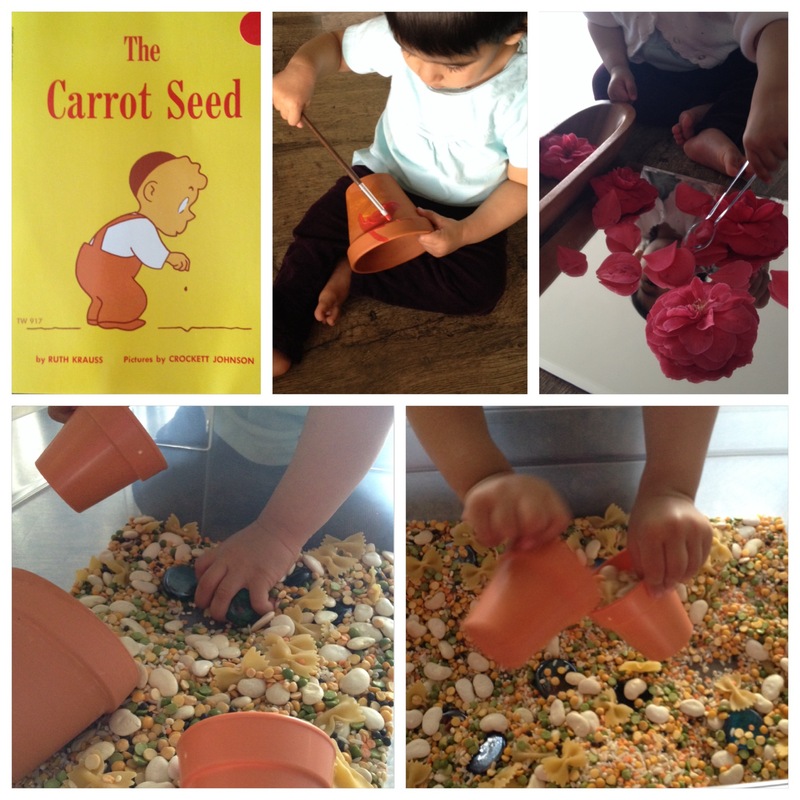 The Carrot Seed by Ruth Krauss – R enjoyed sitting in my lap and listening to, “The Carrot Seed”. Whether you consider this book about faith, determination, or perseverance, it’s a wonderful read! Painting on different surfaces is fun! Today R painted a clay pot. 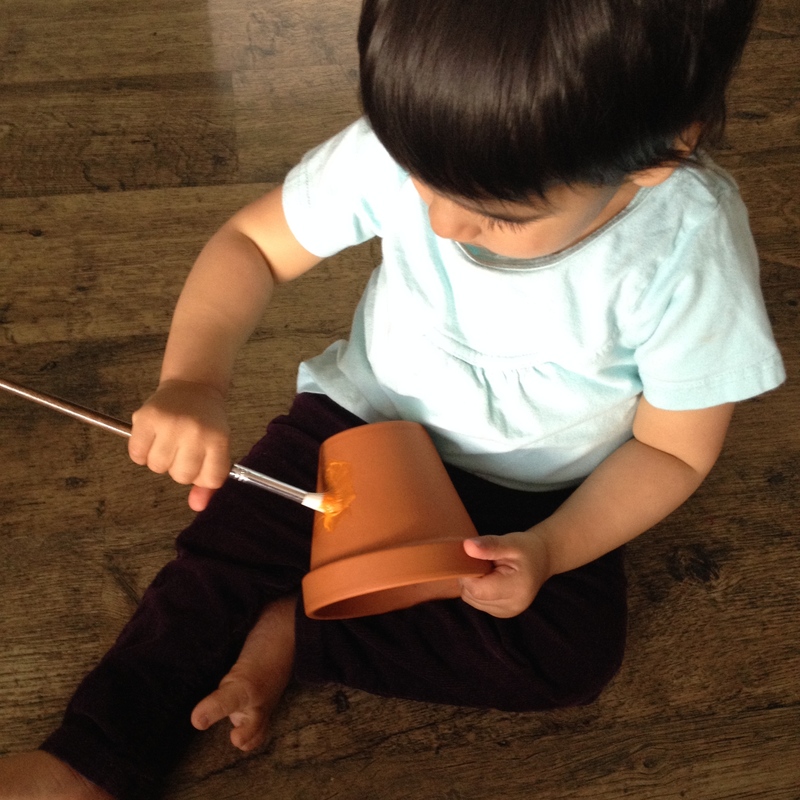 I was impressed by her ability to hold the pot in one hand and paint it at the same time with the other. Since we used non-toxic washable Crayola paints (my daughter still has a tendency to put things in her mouth) for the pot, the paint didn’t show up very well. If you want the colours to be really bright, I suggest using acrylic paints. a. Once the paint dries, use a black permanent marker to add details. I added details on R’s pot. 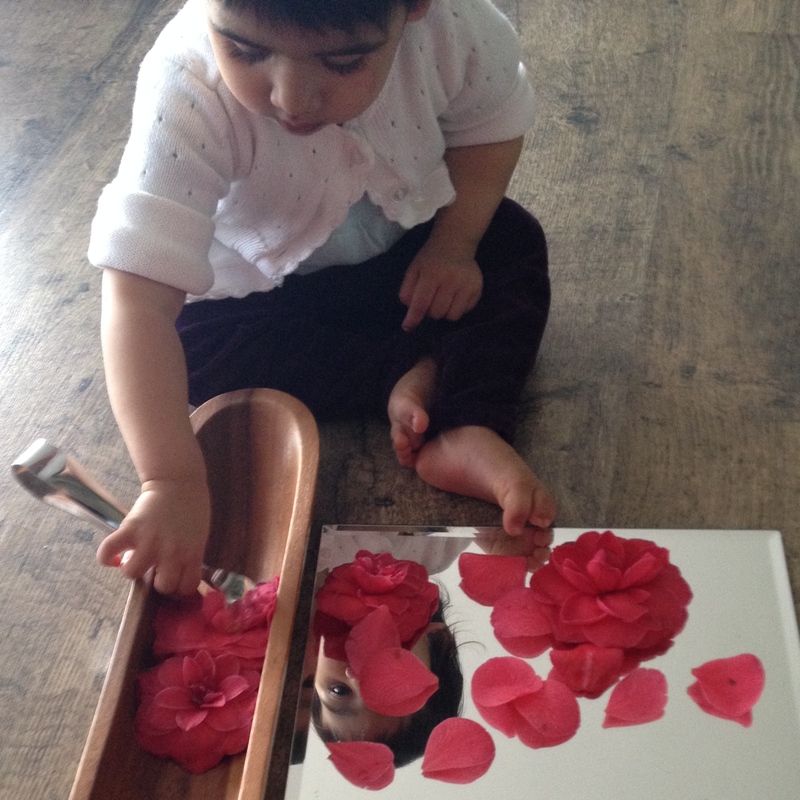 R had some fine motor skills practice by using metal tongs to transfer flowers from a mirror into a wooden tray. She was well focused during the activity despite it not being the easiest one for her. Sometimes she was able to do the transfer with the tongs, other times she would put the flower into the tong with her other hand and then transfer it and still other times she would transfer it by hand. Between flower transferring, she loved looking at herself in the mirror and saying hi to her reflection. b. Using a timer, see how many flowers your child can transfer. Have them repeat the activity to see if s/he can beat his/her best time. R enjoyed the “rock” garden sensory bin I put together for her. She played in the bin for almost an hour!! She filled plastic and clay flower pots by hand and dumped everything out over and over. She also practiced pouring from one pot to another. This actually takes quite a bit of concentration and spatial awareness! 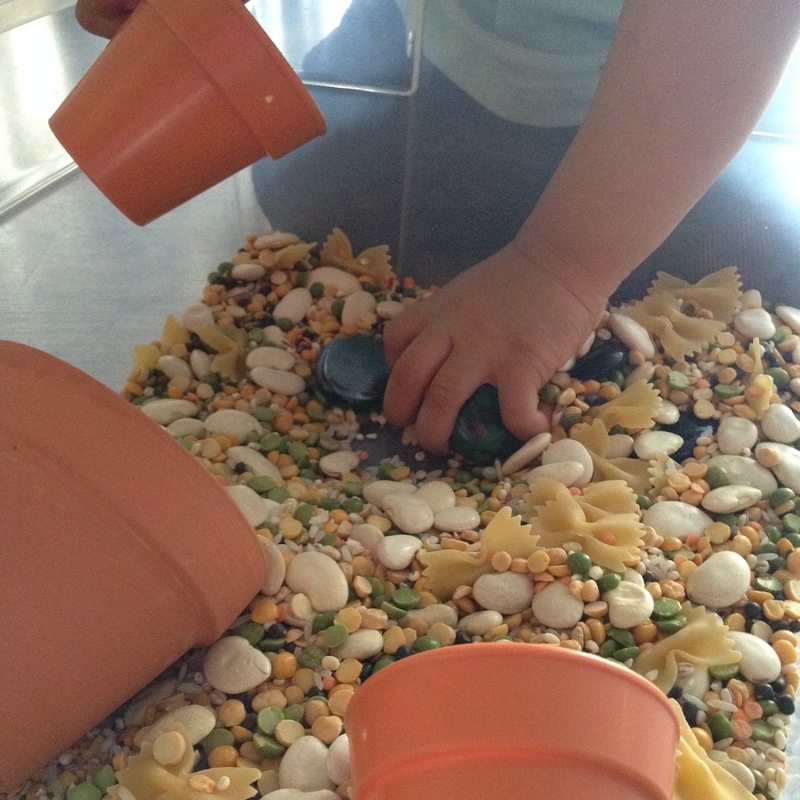 Sensory bins are wonderful for kids of all ages (so long as they can sit up!). In this bin, I added the following items:a soup base mix of lentils, barley and rice; white lima beans; bow tie pasta; large glass rocks; one small clay pot and two plastic flower pots.